October, how could I not love you? You bring all the things that make me happy. 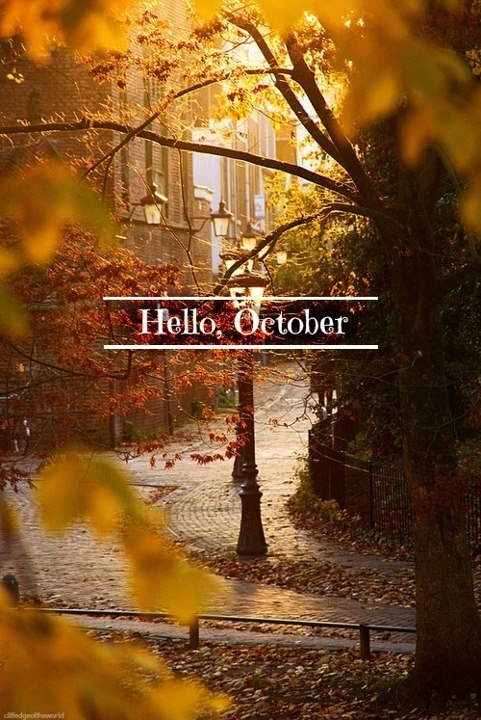 Hope your October is filled with all things good and happy! After Christmas, it’s my absolute favourite time of the year! Happy early b-day. No Rhinebeck for me either. Can’t wait to see your pics from the Brooklyn Festival. This one is really small but the location is beautiful (I was told) so I can’t wait. I’ll take as many pictures as I can! Next time I’m in Brooklyn we have to meet! Definitely!!!!! I’m warning you now … I do big hugs and bigger laughs!!! Just go on like you don’t know me if I embarrass you! LOLOLOLOL! And to think I had to nerve to talk about not celebrating. I’m glad I came to my senses. LOLOL! Happy early birthday! Treat yo’ self! Hi birthday twin. Your blog always makes me feel so cozy. That’s not real easy when I’m surrounded by packing boxes. Happy October, dear Nicky! Enjoy!